Jo graduated in 1977 from the University of Sheffield and has worked in general practice in Sheffield, Derbyshire, Norfolk and Suffolk. She established Hopton Dental Surgery in 1986 sharing the premises with the established doctors’ surgery.  Providing high quality, ethical primary dental care is the foundation on which Hopton Dental Surgery is built. In 2007 Jo started working for the General Dental Council which regulates the dental profession. She is a member of the Fitness to Practise panel which necessitates her being away from the practice for about 4 weeks of the year. Alex graduated from the University of Bristol in 2014. Since graduating Alex has worked in Surrey and Essex. Alex joined Hopton Dental Surgery in January 2016 and has already established herself as a key member of the dental team delivering high quality dental treatment with a particular interest in restorative dentistry and Orthodontics and is now offering Invisalign which is a new method of tooth straightening. For further information, ask any member of our team. Maija graduated in 1988. She has worked in a variety of practices in East Anglia and the South East. Maija joined primarily as a locum and she became a permanent member of the team in 2013 because of her popularity. Maija is known for her gentle approach and ability to calm nervous patients. Laura graduated from the University of Exeter with a degree in Business Economics in 2008. She has worked in the practice since 2013. In order to understand fully the running of the practice she trained as a dental nurse and is registered with the GDC. Laura ensures the smooth running of the dental practice and is the first contact for any advice on any practice related issue. Gemma qualified as a dental hygienist in 2015. Prior to qualifying as a Hygienist she worked as a Dental Nurse. She is passionate about educating and improving patients’ oral health and joins Hopton Dental Surgery as a part time Hygienist. Her clinic runs on a Thursday. All our Dental Care professionals are registered with the General Dental Council (GDC) and are committed to ensuring the principles on which Hopton Dental Surgery are founded are respected to ensure that the patient journey is of the highest quality. Julia joined the practice in 1997 after working in Bury St Edmunds. Julia is our Senior Dental Nurse and is involved in many aspects of the dental surgery including completing audits and training. Julia has a wealth of knowledge and can answer any queries particularly about patient experience. Rachel began dental nursing in 1988 working in Suffolk. She joined Hopton Dental Surgery in 2010 after a break to have children and registered with the GDC in 2012 having gained her nursing certificate. Rachel ensures that cross-infection control is always of the highest standard. Claire is our trainee dental nurse. She works part time in the surgery as well as attending college one day a week. She joined Hopton Dental Surgery in 2016 after a break to have children. Claire is a bubbly and sympathetic dental nurse and has quickly settled into the team at Hopton Dental Surgery. Karen joined in 2016 after working as a medical receptionist. Karen does not assist with clinical or chair-side work but is our front of house and your initial point of contact with the surgery completing all reception and administrative duties. Karen’s calm manner and attention to detail ensures every patient’s journey through their dental treatment runs smoothly. Rachael occasionally works in the practice covering staff annual leave and illness. Rachael does not assist with clinical duties but helps us with reception and administrative duties. Rachael’s bubbly personality ensures that we all keep our sense of humour.